Booklice Control can help with any Booklice Control problem. Booklice Control offers a reliable and efficient Booklice Control & prevention service in and surrounding areas.We aim to provide a pest free environment for your commercial business or domestic premises. For a quotation, free survey or advice please contact Booklice Control on 07540722770. Or complete our online form for a Instant Response to your enquiry. Booklice are cream coloured insects about 1mm long and feed on mould that grows on damp surfaces, damp food and in damp buildings. Booklice can be found in new properties where the plaster is still damp and old buildings such as museums where they feed on the glue of old book bindings, or around windows where condensation collects. 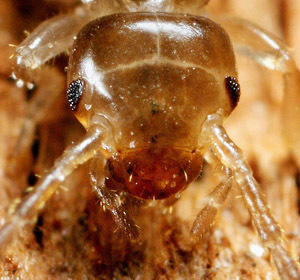 Anywhere damp is the perfect environment for a booklouse to thrive. The best deterrent is to wipe away any visible mould, thoroughly ventilate and dry the area where they are found. If possible, heat the room to a high temperature as booklice survive poorly in dry cold or dry heat. If you are have problems with Booklice call Pest Control today. We can eradicate your booklice problem quickly and efficiently. We cover the following Booklice Control Problems.